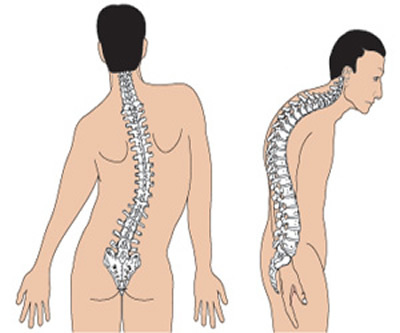 Scoliosis, a lateral or side-way curvature of the spine/spinal cord, which usually take the form of "C" or "S" is a very dangerous disease one needs to be aware of. Because if not diagnosed/detected in time, the spine/spinal cord curvature will become so bad that it will begin to press against the heart and lungs, making breathing difficult. But do not be too anxious about this disease, it can be cured.